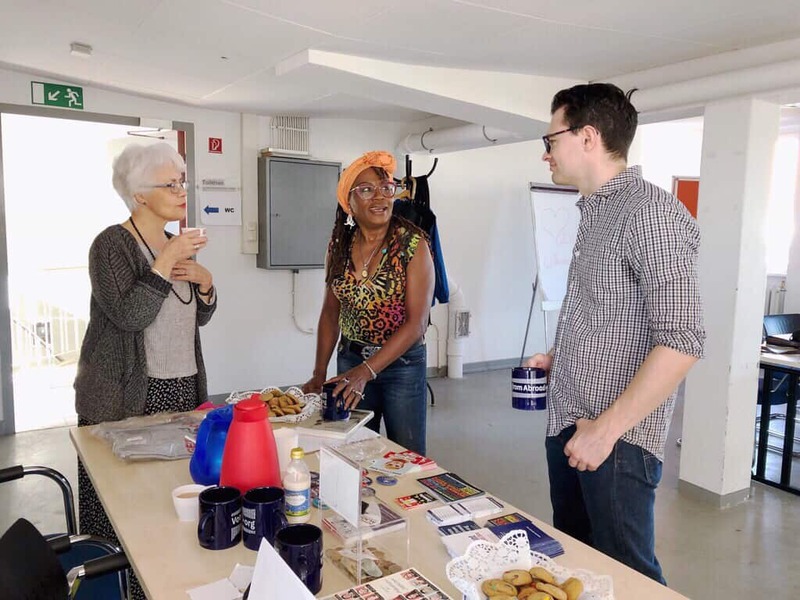 WELCOME TO DEMOCRATS ABROAD HAMBURG! DA Hamburg is a chapter of DA Germany, the official country committee for US Democrats living in Germany. 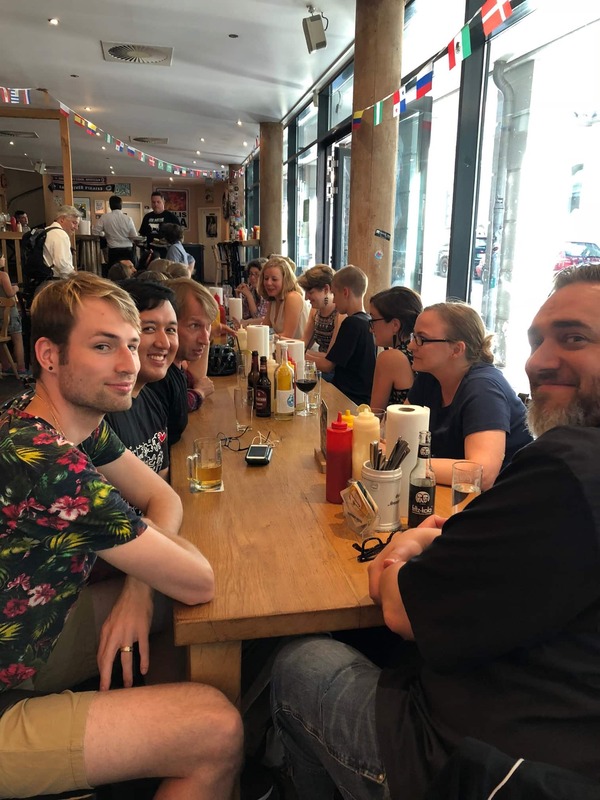 We provide fellowship, offer educational and informational events, and encourage activism for Americans living in Hamburg and Northern Germany. You can find us here on Facebook and follow us on Twitter @DemsAbroadHH. Watch this space for upcoming announcements of meetings and events - we have events planned throughout the year and encourage anyone interested in participating to get in touch. 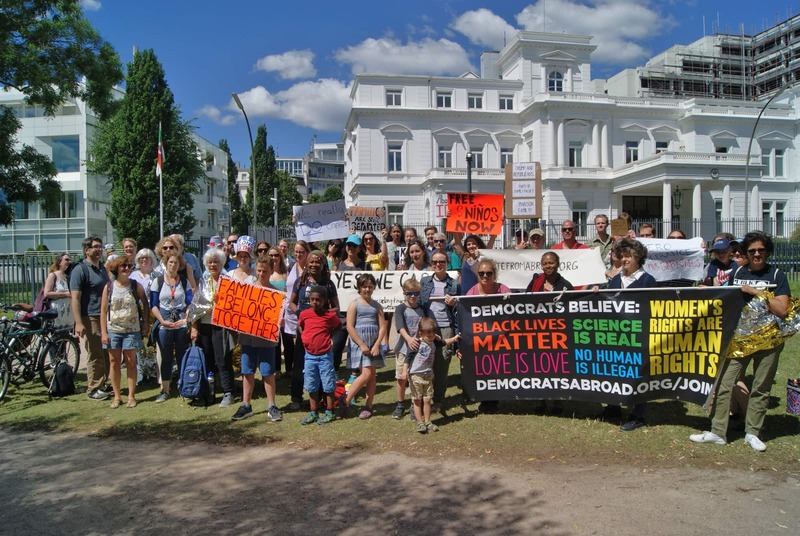 If you have questions or would like to help with Democrats Abroad in Hamburg, please contact us. When was the last time you heard a politician say: "It´s fun to work together"? It may seem like a lifetime ago, but those words were spoken by President Obama describing his relationship with Chancellor Angela Merkel. We were privileged to hear these and other revelations during the evening our Bookclub spent with Claudia Clark, author of My Partner, My Friend. Exhaustively researched, the book details a relationship that started with caution, progressed into trust, and grew into friendship. Especially in today´s polarized world, it seems almost quaint to observe the interaction between the two leaders who were able to relax with each other while tackling the world´s problems because of their own authenticity and their affinity and respect for each other. Claudia, a Democrats Abroad member, was compelled to write the book because, especially in light of what is happening today, it is instructive to re-examine how personal relationships between those in power contribute to peace. What has been lost—communication, working through differences, the willingness to compromise—should be a lesson for us all. We look forward to reading more when the book is published, both in English and in German. ALL YOU EVER WANTED TO KNOW ABOUT FILING YOUR TAXES BUT WERE AFRAID TO ASK! Following a tradition of offering information for all Americans living Abroad, we were pleased that once again, certified public account David Opperman agreed to talk us through the responsibilities and potential confusions involved in tax filing from abroad. The room was packed to capacity on this grey afternoon as David patiently described what most of us found to be a confusing set of rules navigating between the German and American tax systems. There was plenty of time for questions and the attentive group was visibly relieved by the end of the afternoon, even finding comical moments despite the serious subject matter. After listening to what some people have gone through in the past, and how hard it is to receive answers, we can only express our gratitude to David for his advice once again. *The generous support of the SPD made it possible to hold this event in the heart of Hamburg. 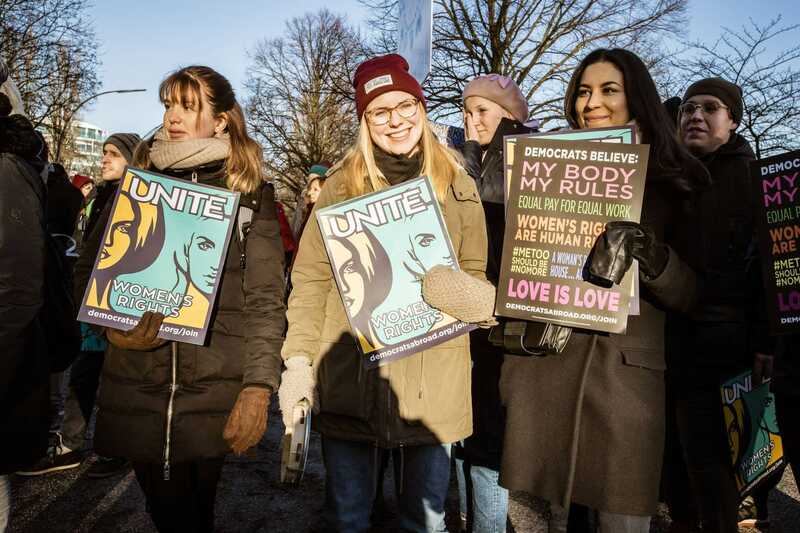 WOMEN UNITED MAKE THE WORLD GREAT AGAIN! Even the weather was perfect as we gathered in front of the Rathaus--posters, banners and hand scrawled signs blazing in the bright sunshine. After a week of greyness, literally and figuratively, suddenly progress seemed possible--as Chesney told the gathering-- if only each of us would make the effort. She reminded the rapt crowd of the upcoming vote in Virginia for the Equal Rights Amendment and urged us to write in support of this affirmation of women´s equality. After nearly 100 years of activism on its behalf, the measure needs only the votes of one more state to pass! 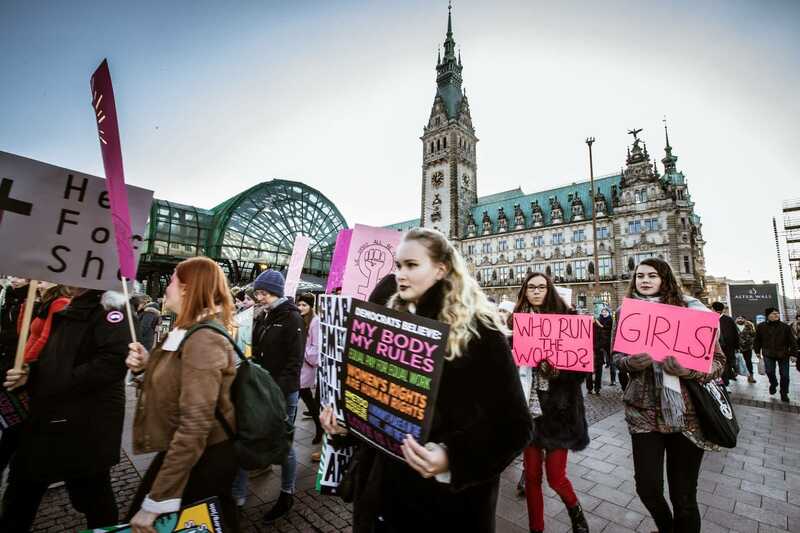 Energized and motivated, the march began with some 200 participants winding their way, singing, chanting and drumming along the shimmering Alster to the U.S. Consulate, colorful posters held high: "Empowered women empower women!" "Equal pay for equal work;" "My body, my rules;" not to mention numerous clever original variations. 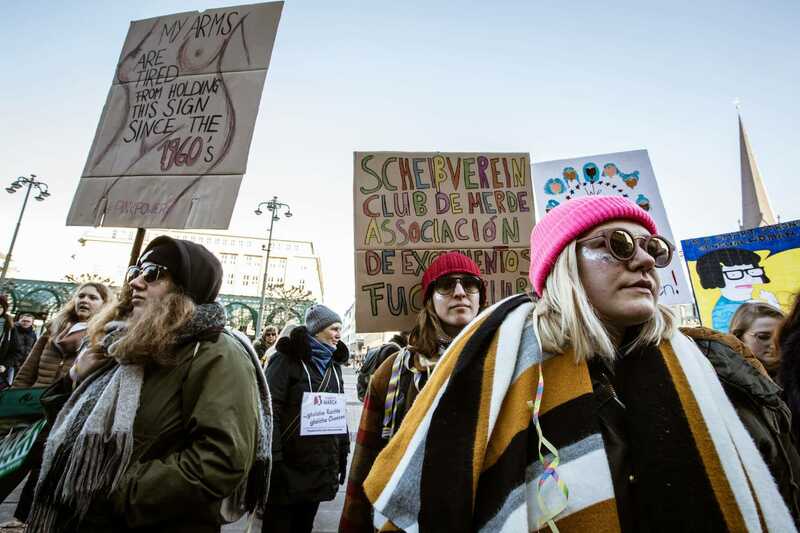 Many of us commented, with a certain weariness, on one poster: "My arms are tired from holding this sign since the 1960´s." Elaine, however, in her closing speech, urged us not to give up, and noted with gratification how many young people there were in the audience to carry on the struggle to achieve what we deserve, no matter how long it takes. Thanks to all who made this a joyous afternoon and a worthwhile demonstration! 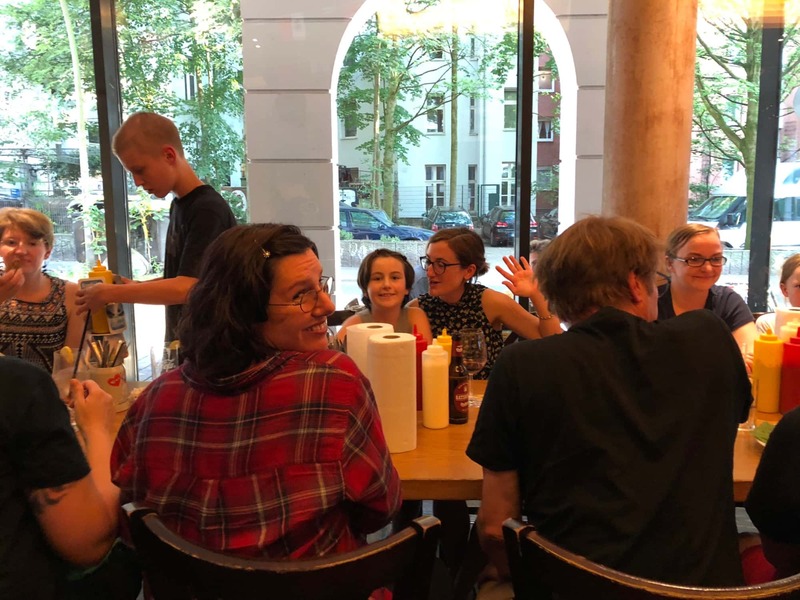 Over the past two years, the Hamburg Chapter has grown and become more active than ever. It has been a pleasure to have acted as Chair during this time, and my thanks go out to the entire Chapter membership, and especially to our leadership team who have done so much to make it all possible. I will not be seeking a second term as Chair, but plan to remain active in the Chapter. More details about the time and location will follow. The Democratic Party made progress this past election day, flipping the House and ensuring more headwind for the Trump Administration and the Republican Party in the next 2 years. 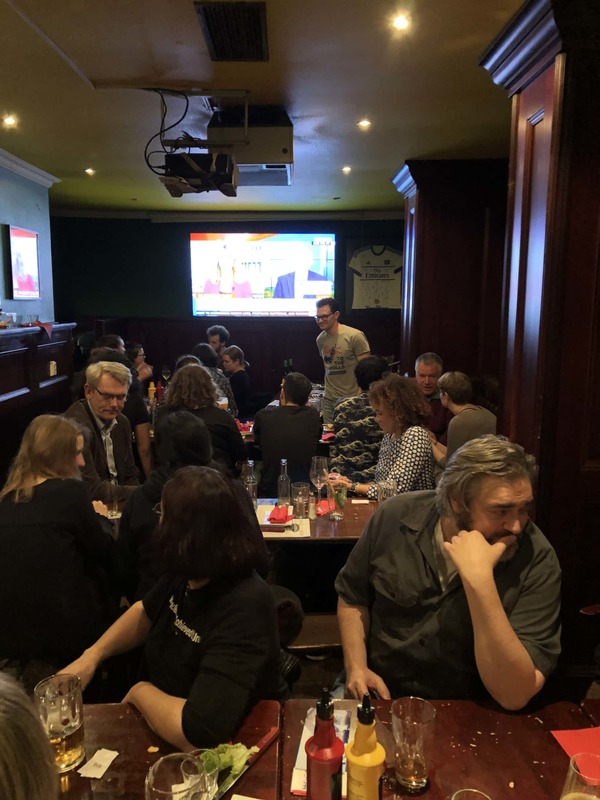 The Hamburg Chapter was tuned in to see the first preliminary results at a viewing event in Eimsbüttel until late into the night. It was a great crowd, including some German and other European guests. The night's festivities included a very successful raffle of GOTV and other politically charged items. Thank you to everyone who helped make this a very special night. And thank you to everyone living abroad who voted, or helped others to do so. We know it is not a simple task, making it all the more important. 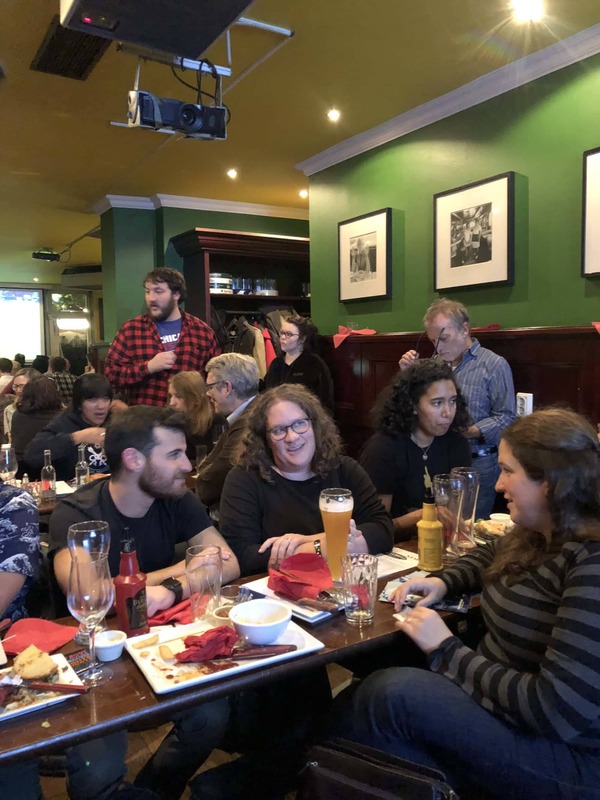 Hope to see you at our next event, a movie night featuring Ava DuVernay's 13th, and a political discussion led by special guests - more details here . Thank you to everyone who attended our most recent Chapter Meeting. It included our first ever New Members Coffee, ideas for 2019, and some last-minute voter registration help. Below you will find the minutes. 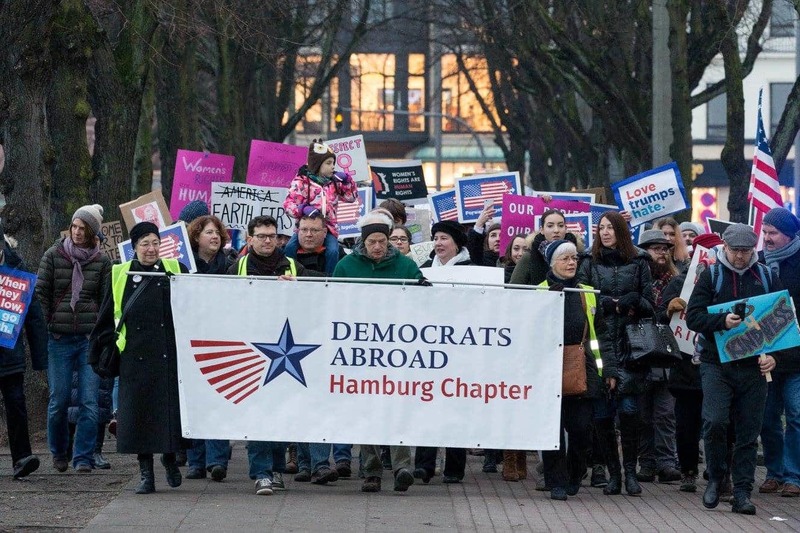 dag-hamburg@democratsabroad.org at your earliest convenience! I am happy to answer any questions. The election will take place in January or February, before the DA Germany AGM. members (new and old) a chance to talk and get to know each other better. 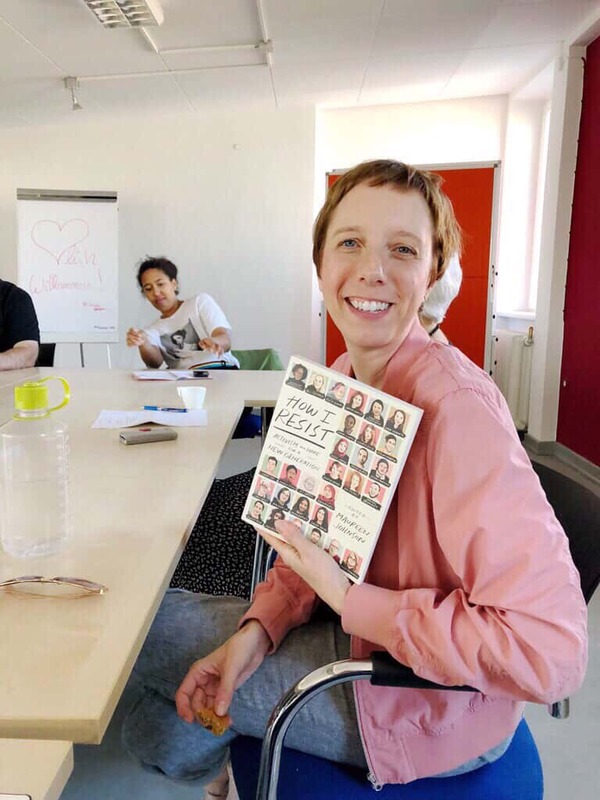 - Fundraising - We raffled off a book ("How I Resist") during the meeting, raising 17€ ! ideas for raffles or have something you want to donate, and other fundraising ideas. to pay for a tablet and portable printer we received for GOTV efforts. - Other ideas include an American finger food buffet, a raffle table, a favorite dish or pie contest. - One of our Chapter members attended and summarized - more details here . - Many are interested in putting together a similar event here in Hamburg. action, and Democratic candidates have better chances in red states. - Reminder - Every state has an abroad Facebook page. - Some states' deadlines for registration and overseas ballot requests have not been reached yet. It is worth checking. - Both of the above can be done at votefromabroad.org . 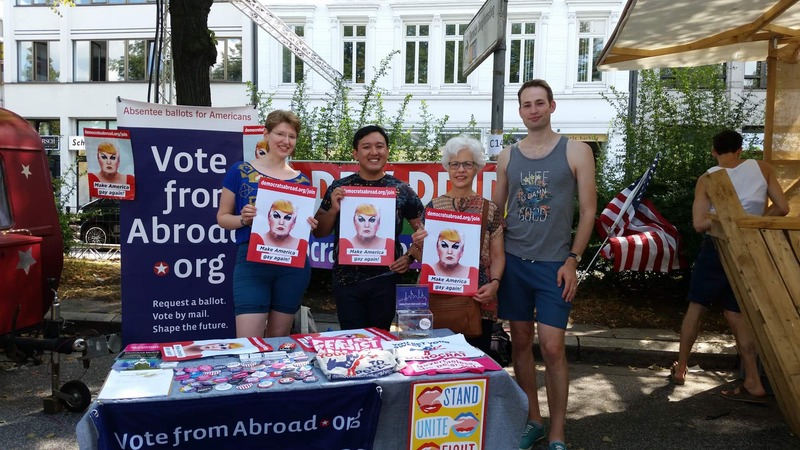 CSD was a huge success for Democrats Abroad Hamburg this year. We were at the street fest all three days and spread the word to Americans, Europeans and others from all over the world. 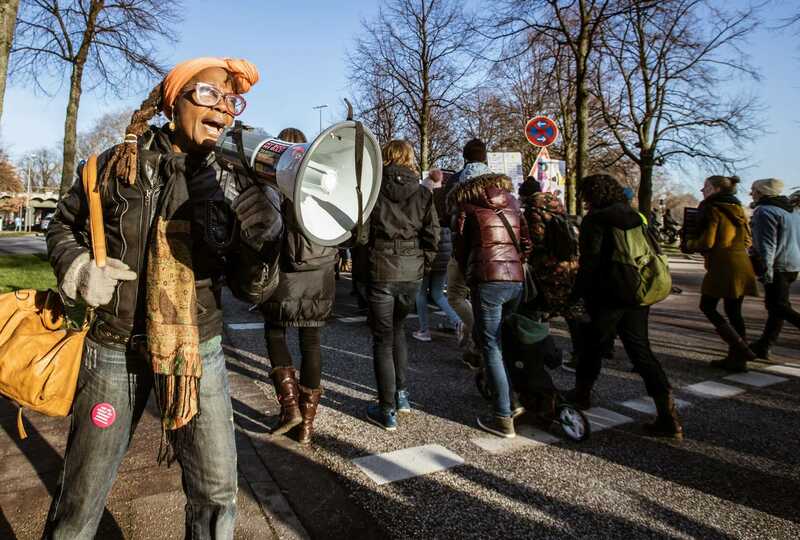 We hope to be inviting new members to our chapter as a result, and have also compiled a list of non-US citizens living in Hamburg who want to receive information about our future protests and events. This past weekend was a group effort, and would not have been possible without everyone's contributions. We accomplished a lot, which will help with our further GOTV and other goals, this year and beyond! It had been a tough few weeks for Democrats. Our worries about the situation on the U.S. borders culminated in an emotional protest before the U.S. Consulate the Saturday before. Next came the shock of the new vacancy on the Supreme Court leaving us fearful about stopping the relentless dismantling of the rights and values we all cherish. 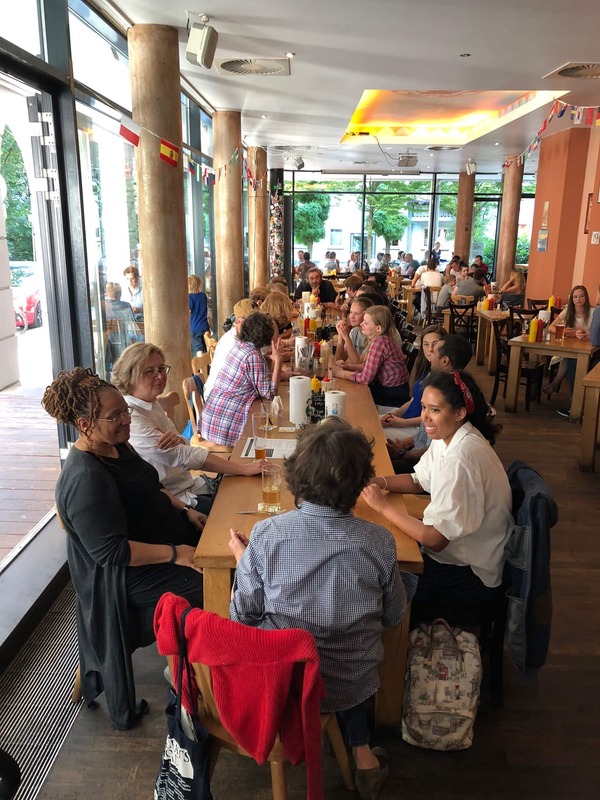 There was a great deal to talk about as some thirty five of us gathered at The Bird for a traditional hamburger and beer. It was an animated and colorful group of old members, new members and even nonmembers, plus their families, and it included a proud new citizen who had just voted for the first time in an important Florida election. Thank you all for your commitment and enthusiasm, which gives us hope for the upcoming election campaign! 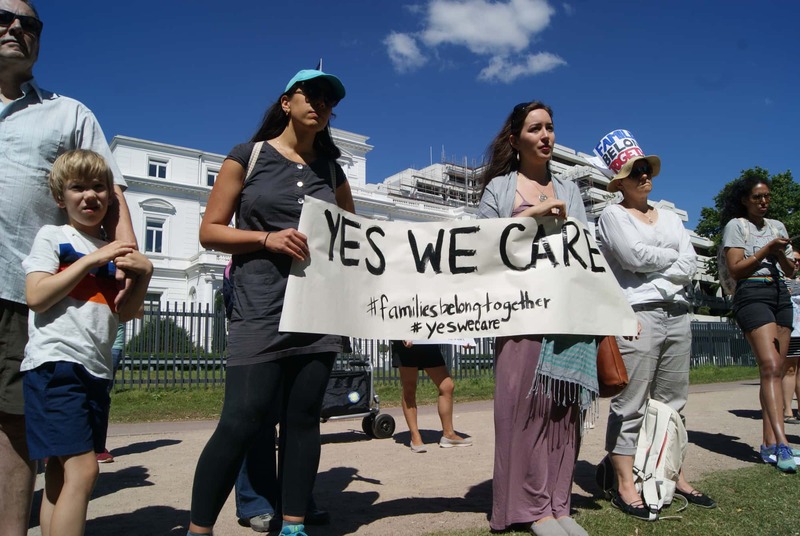 Thank you to everyone who joined us in front of the US Consulate in Hamburg to take part in the international movement on June 30th, calling for an end to the inhumane immigration policies being enacted and enforced by the Trump administration. Several people spoke, sharing their thoughts and experiences, and making it clear that we as Americans do not support what is happening along the US border. As one of our speakers put it, let's make America America again!